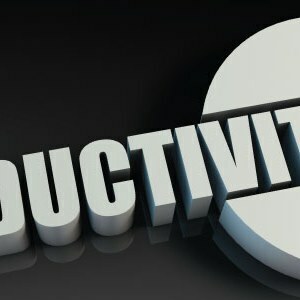 As presented in the previous episode, Aligning Profitability and Productivity Scenarios and Strategies to Productivity Core Business Goals (PCBG), after setting the two profitability and productivity scenarios (in case of increase or decrease of sales) and the three inter-related strategic levels of productivity meant for the increase of the stability level of the company’s processes and achieving an acceptable level of costs in accordance with customer needs, the next step is the development of the systematic and systemic planning process of alignment of multiannual and annual profitability and productivity scenarios, strategies and of PCBG to daily activities of all employees in the company and beyond. 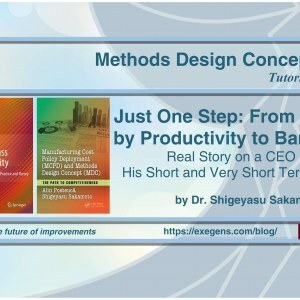 A weekly and daily central question for middle managers and for the implementation teams is: How to implement profitability and productivity scenarios and strategies through Kaizen and Kaikaku projects and through daily improvement? The process of translation of multiannual and annual scenarios, strategies and objectives into concrete actions (policy deployment or targets and means deployment) at the level of the entire company requires systematic and systemic improvements at all levels of the organization, both short-term and especially on medium and long term. to extend horizontally the results from a consistent standardization or after a valid solution to solve a problem (Act). If the feedback is not the expected one, the PDCA cycle continues until it reaches the PCBG fulfillment of effectiveness and efficiency of growth – of course, during the target time imposed by the specific business situation. continuous feedback to Overall Management Indicators – OMIs. Based on Multiannual and Annual Productivity and Costs Policy Deployment, productivity master plan for each product family costs (PFC) is developed and continuously updated. A weekly central question for middle managers, implementation teams and every employee is: How to implement productivity and cost policy (targets and means) in my area? The productivity master plan for each product family cost (PFC) will help fulfill the KPIs by understanding the current and future state and by designing the ideal and future state that will meet customer needs. The aim of productivity master plan for each product family cost is to reduce the time required for fulfilling orders for customers of the product family cost (PFC). In this context, the owner of each product family dedicated strategy will try to carry out the strategy set by detailing productivity master plan for his product family cost (PFC). So, PMP performance is the ongoing task of all people within and outside the company, for all products and for all main processes of each PFC. Finally, the last step of the Productivity Business Model (PBM) is the feedback. This step assesses the performance achieved by profitability and productivity policy deployment and associated productivity master plan by accomplishing the productivity vision through annual operating profit. Periodically, the results are evaluated to verify the continuous compliance with PCBG and, implicitly, fulfilling the operating profit (internal and external profit). The central question for middle managers for the implementation teams and for any employee is: How well was profitability and productivity policy met in my area and across the company? This is the time for assessing senior managers’ performance in front of the board of directors, more precisely the activities and actions of productivity continuous improvement approved by them to support multiannual and annual operational profit (internal and external profit).